Barkriver Canadian Special LT 3V Gereen Canvas Micarta. Excellent and useful all around field, bushcraft and hunting knife, now in the LT version with a new .145in (3.8mm) spine for great cutting performance. The New Canadian Special LT is a thinner version of our Canadian Special. All else on the knife is unchanged. The slimmer and lighter version will cut more efficiently. The CPM 3V steel has more than enough toughness to support the thinner blade and the thinner edge. The Canadian Special has been one of the backbone knives of Bark River Knives lineup since it was first introduced into their Canadian Series. The Canadian Special is the belt knife size that has become the standard size that hunters and outdoorsmen feel most comfortable using. This new lighter slimmer version will give you a lifetime of top level performance. 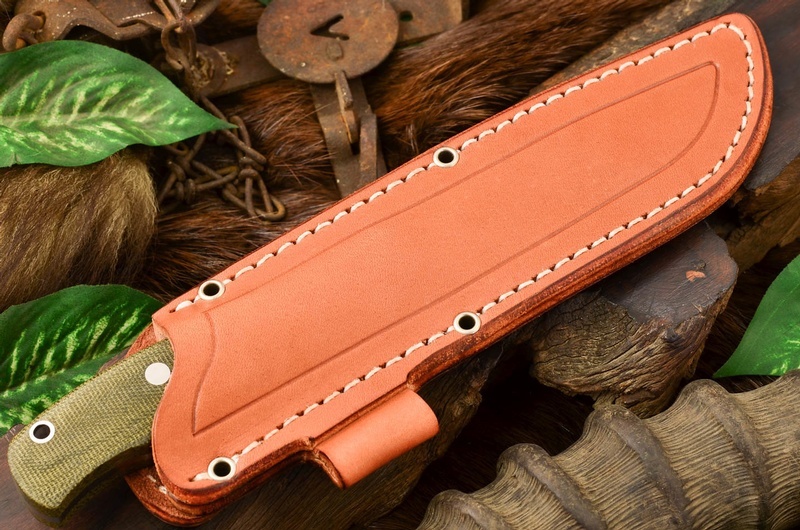 Comes with excellent and high quality pouch style sheath, knife and sheath Made in the USA! Purchase through PayPal by using the "Add To Cart" button above or use the form below to order the Barkriver Canadian Special LT 3V Green Canvas Micarta . 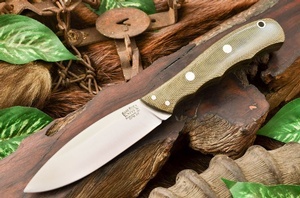 Feel free to contact us if you have any questions about the Barkriver Canadian Special LT 3V Green Canvas Micarta .